Owner welcomes ALL REASONABLE OFFERS !! "Number One" was featured on the cover of PassageMaker, Yachting and Southern Boating magazines. She is in exceptional condition having been well cared for, highly updated and loved by her second owner. She is a walk-around model equipped for long distance voyaging. A tour through her will immediately impress upon you how well though out all of the details are on this yacht. Spend some time studying the detailed specs and you'll understand the investment made to produce possibly the most incredible Krogen 44 ever offered to the brokerage market! Now, see updated 360 views of the interior and imagine yourself onboard! PassageMaker article available on request. As is the case with all Kadey-Krogen yachts, the 44 is not designed purely for passagemaking since James Krogen believed that "such designs involve far too much compromise." The 44 is comfortable and has far more living space than you might expect for a boat her size and type. She could easily accommodate a couple living aboard. Number One has had significant upgrades including a $100,000 USD electronics upgrade. "Number One" easily seen at our docks in Seattle! She is easily the best brokerage Krogen 44 on the West Coast and is very specially priced for a limited time for the Pacific NW Boat Shows. So act quickly for your opportunity on this immaculate classic! Owner is willing to get creative to move this boat! 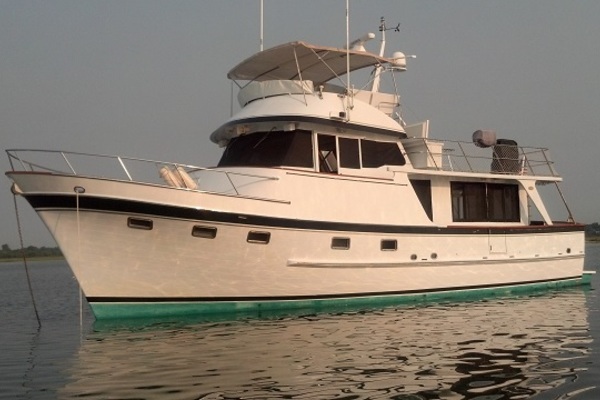 Number One is a yacht that has been meticulously maintained with an open wallet by her owner. It truly can be said that this yacht is in exceptional condition having received a $500,000 upgrade in 2013.